FCFA Spirit Wear Sale – Place Orders Online NOW! 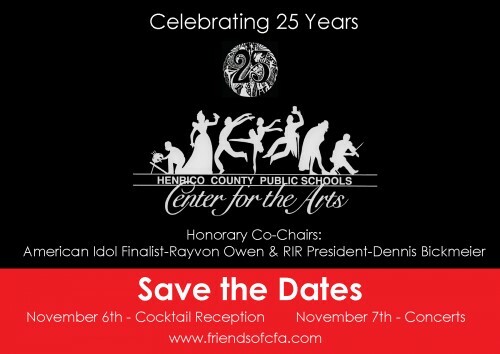 Please join us for 2 very special evenings hosted by Friends of Center for the Arts as we our 25th anniversary! All of Richmond is buzzing about the bike race. 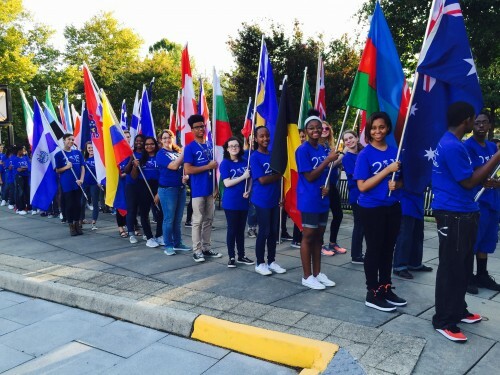 We were excited that CFA students got to be a part of the opening ceremonies as flag bearers, along with alumni Rayvon Owen (an American Idol finalist) who sang at the event.